Welcome to econoMoves™ - the safer, easier, stress-free way to move yourself. EconoMoves is the smart, easy way to move yourself locally in the greater Nashua area. You pack and load, our professional driver delivers your good safely to your destination, you unload and we come back to pick up the container. If you’re moving beyond the local area, or you require more than a self-service move, McLaughlin Transportation Systems, the parent company of EconoMoves, can perform any kind of move, personal or professional, locally, nationally or internationally. We have been in the moving business for more than 70 years. 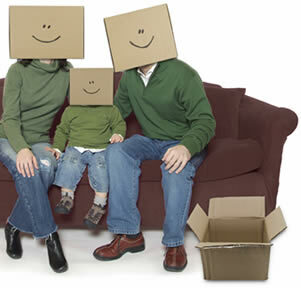 We are award-winning movers with an excellent reputation for safety and customer satisfaction. © 2008 McLaughlin Transportation Systems, Inc.